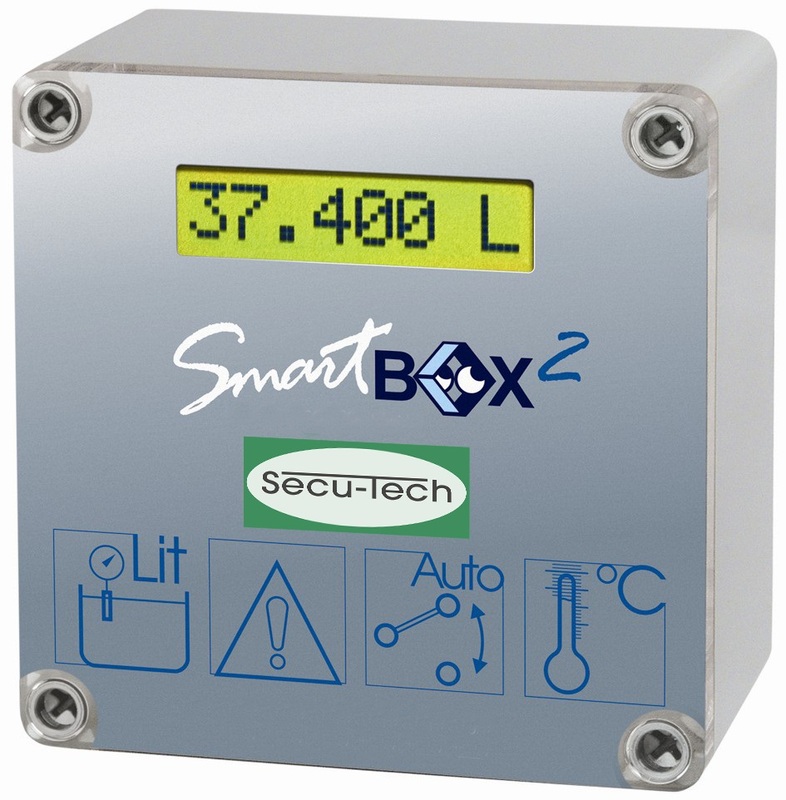 The Tankmanagement System SmartBox 2 is used to monitor pressure-free tanks containing liquids. The electronic Tank-Management Smart-Box is the easy solution to Monitor unpressured liquid tanks. Besides the filling level of the tank container, it can be extended to measure the temperature, remote data transmission or can be integrated with building management systems. In order to measure the filling level in a Tank, a hydrostatic probe is required. This version of the Smart box has an IP65 protection (outdoor usage) and works with 12V DC current. Please note that the Smart Box requires a pressure probe that must be ordered separately. The specification of the probe is determined by the size of the tank and the amount of liquid that is expected to be above the probe. If you are uncertain about the configuration then please contact us. We are happy to get the proper configuration. © 2016 - 2019 Tankmonitoring Systems. All rights reserved.